While intercessors have been praying persistently throughout the ages, I believe that there has been an awakening to the importance of prayer and a desire to establish a lifestyle of prayer for many believers around the world. It comes as a shock to cialis online many Christians that there is anything to learn about prayer. When the disciples said: “Lord, teach us to pray,” they had observed Jesus’ life of devotion, and they recognized that there was more to it than just religious chatter. They wanted to be taught how to touch heaven and impact the earth through their prayers. God desires to raise up a mighty army of intercessors on the earth in these last days to spark a prayer revolution that will touch the world. Along with this renewed interest in prayer has come a growing demand for tools and resources that will allow believers to pray more specifically. There is a magnitude of information and resources available through many established and respected ministries and organizations. The resources enable us to pray effectively for the nations and global issues. The more informed we are, the more relevant our prayers can be. My wish is that you will join me in sitting at the feet of Jesus in the “School of Prayer” and enter into a divine partnership with God and His purposes for our personal lives and our communities. 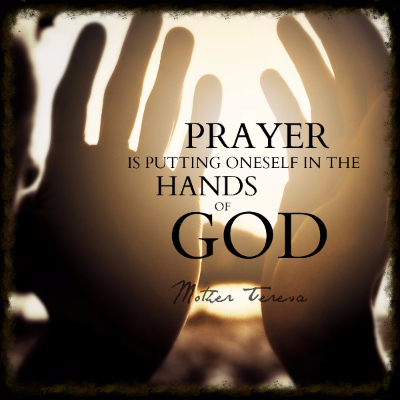 The Global Prayer Resource Network wishes to connect and inform praying Christians and other Prayer Ministries with local and global prayer needs and initiatives; to create awareness of existing prayer resources and tools that will allow believers to pray informed prayers and sustain fervent intercession. The aim is to honor God’s call that Christians should petition Him for the needs of this world. Nurturing and building relationships through ongoing networking.